Sad day for beer lovers in Croatia (Europe). 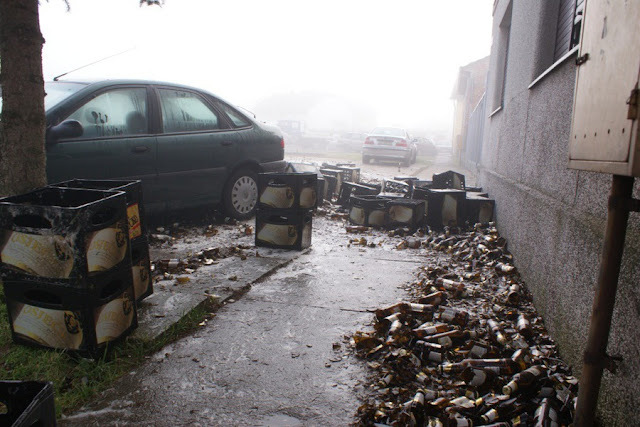 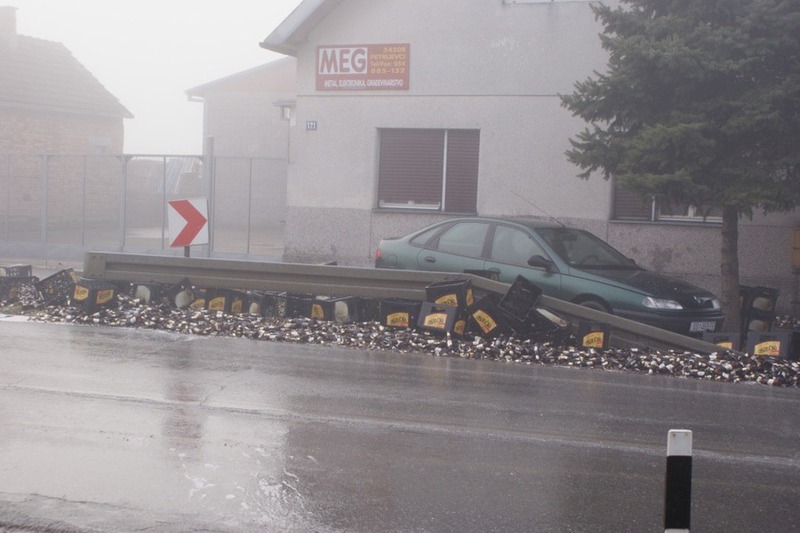 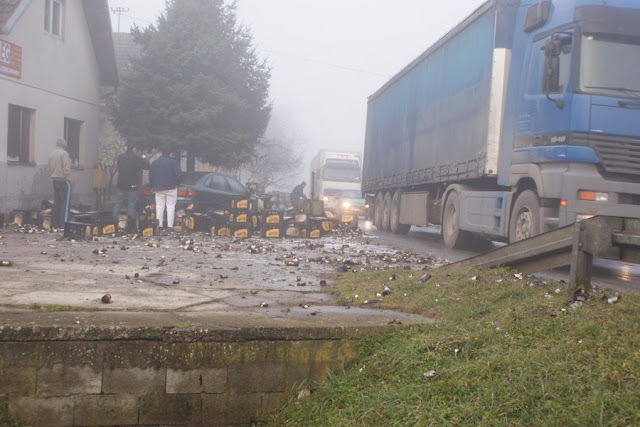 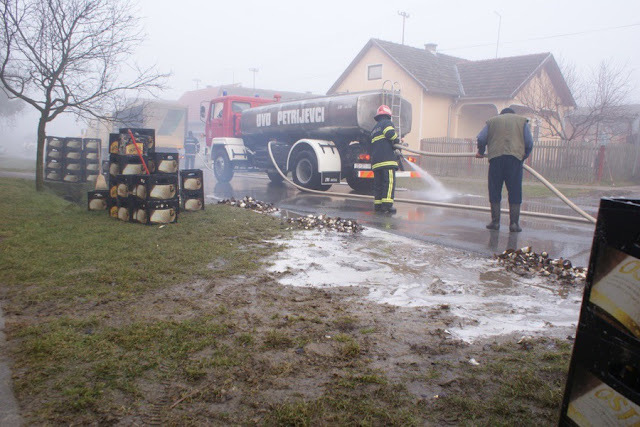 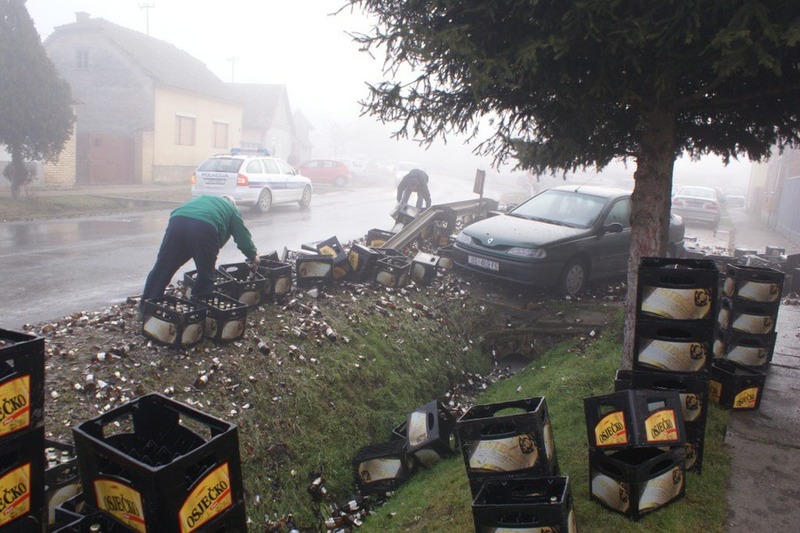 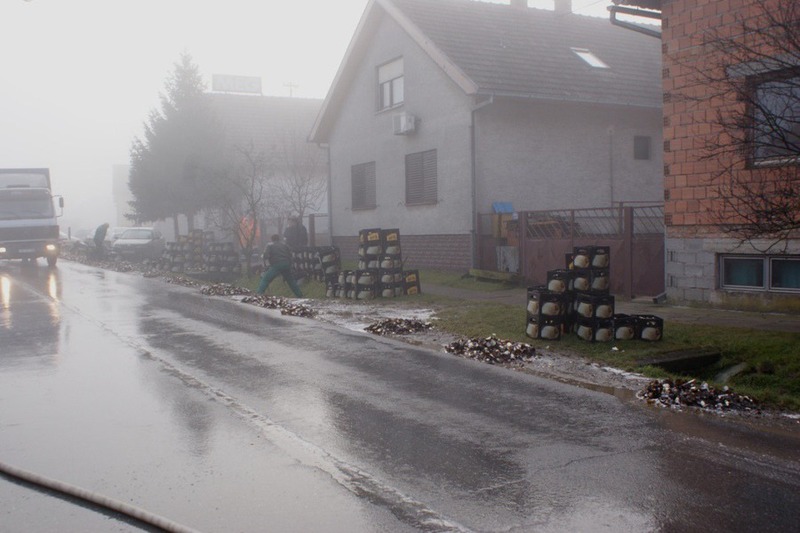 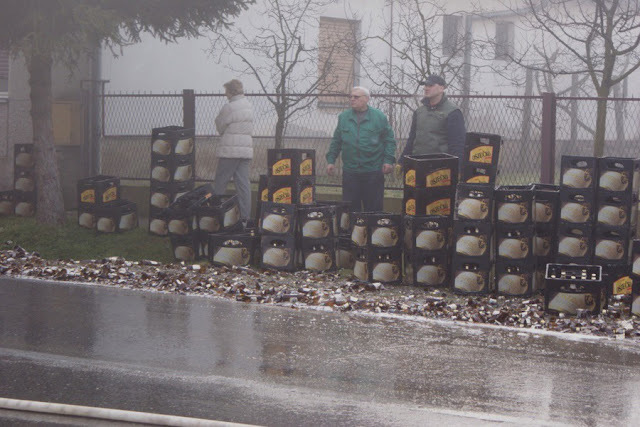 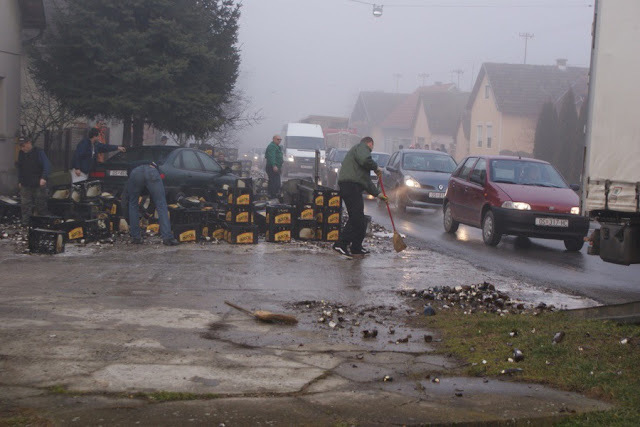 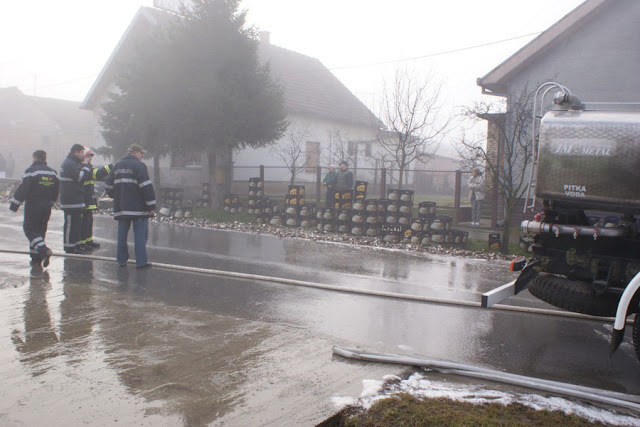 Truck was not loaded correctly and 10 000 bottles of beer (Osjecko pivo) fall down... No one was injured in this accident. 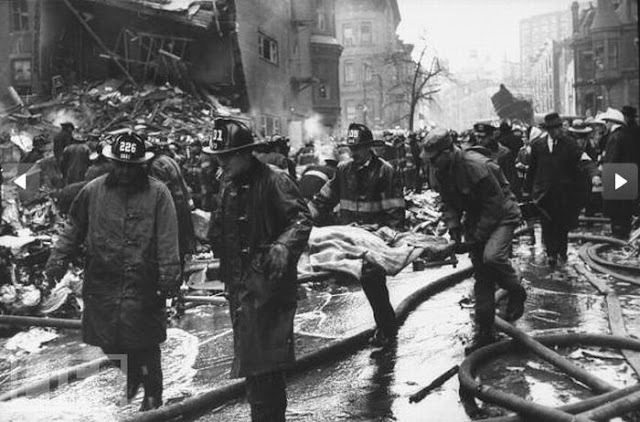 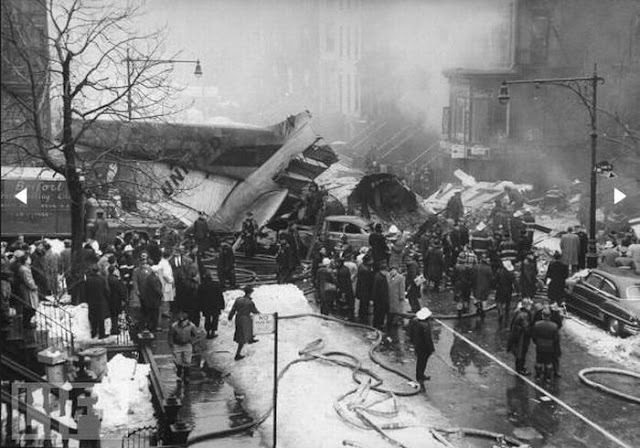 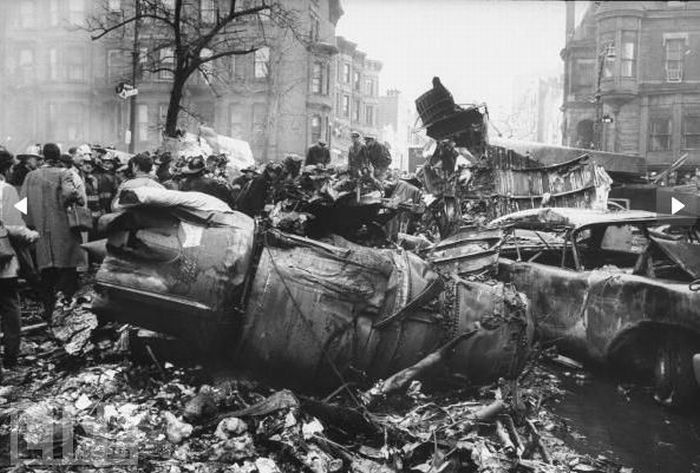 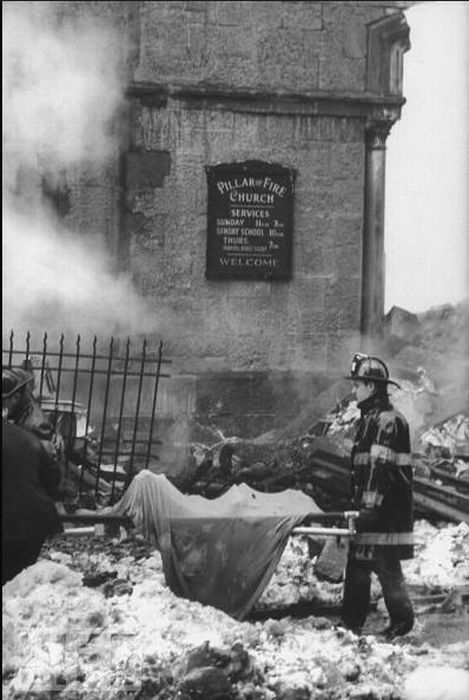 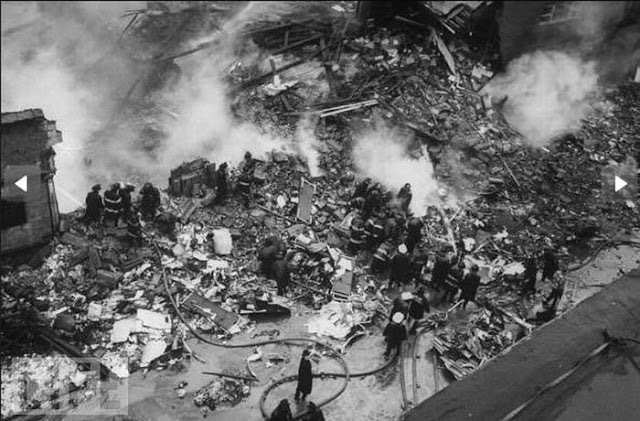 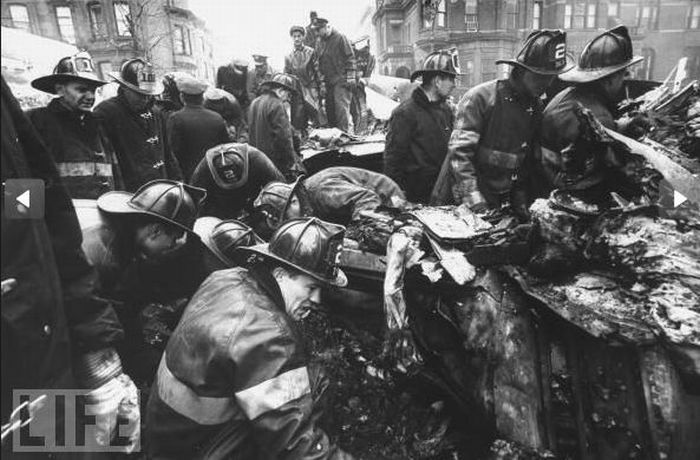 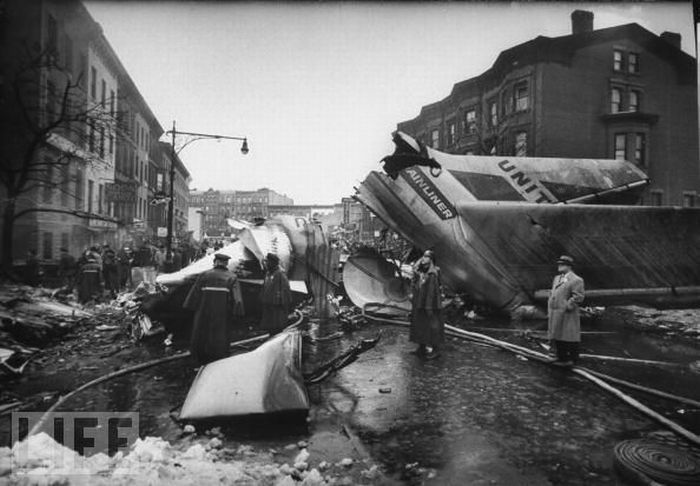 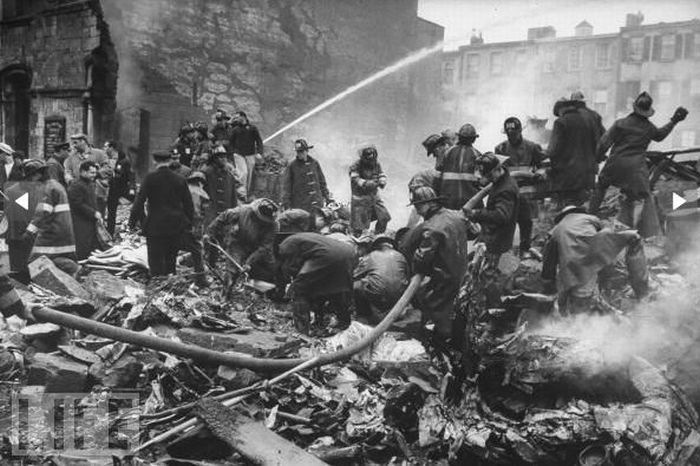 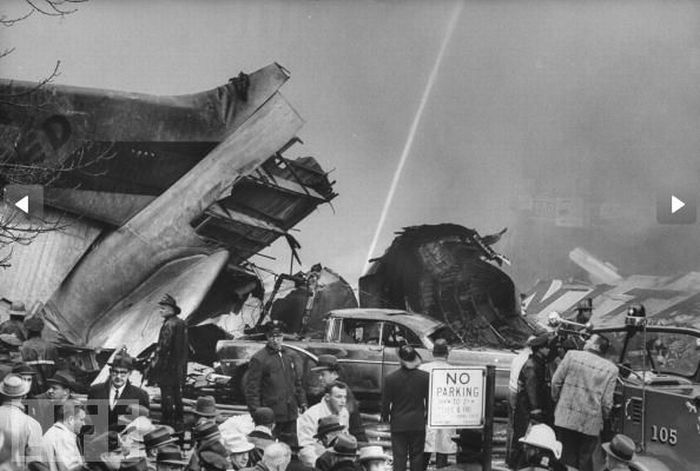 The 1960 New York air disaster was a collision on December 16, 1960, between two airliners over Staten Island, New York City, in which one plane crashed into Staten Island and the other into Park Slope, a Brooklyn neighborhood. The crash killed everyone on the two aircraft—84 people aboard Flight 826 and 44 on Flight 266—and six people on the ground. 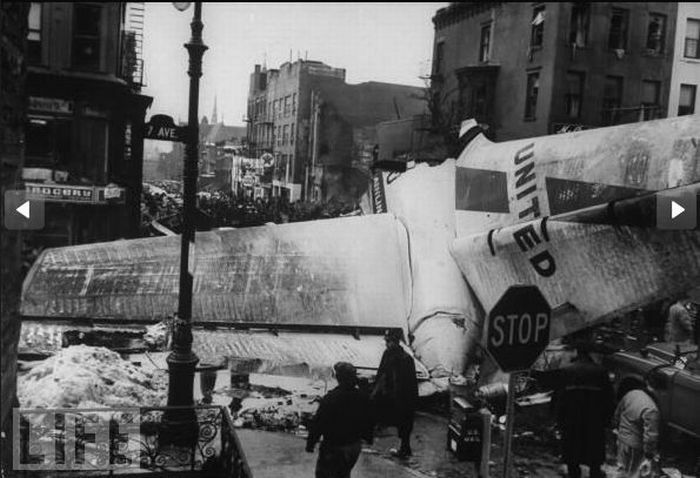 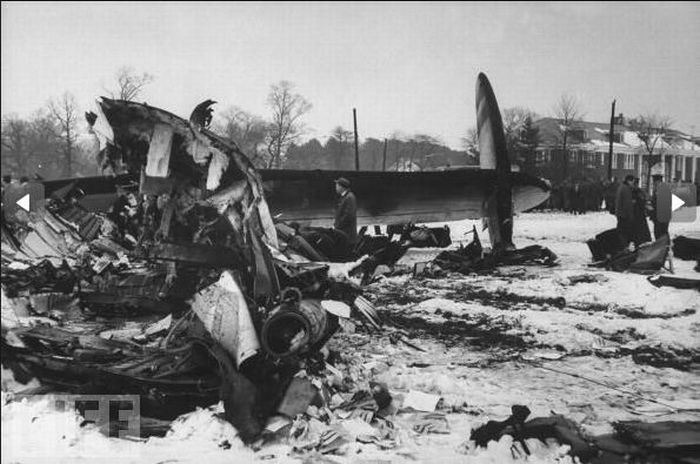 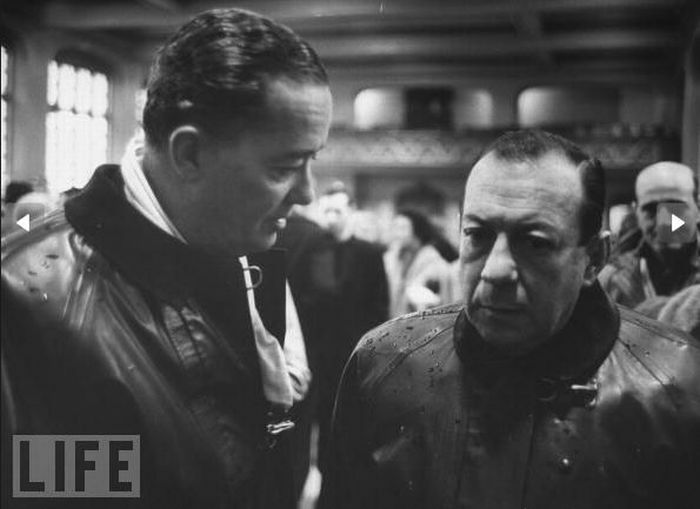 With a death toll of 134, the accident was the deadliest U.S. commercial aviation disaster at the time. 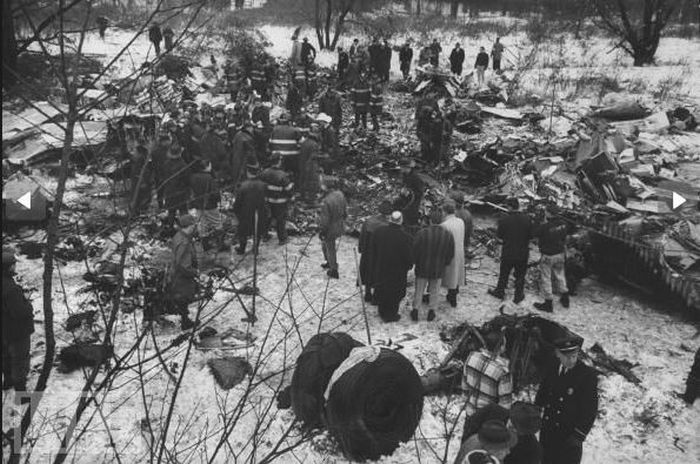 The only initial survivor of the tragedy was 11-year-old Stephen Baltz of Wilmette, Illinois, a passenger on the United jet, who was thrown from the plane into a snowbank at impact. 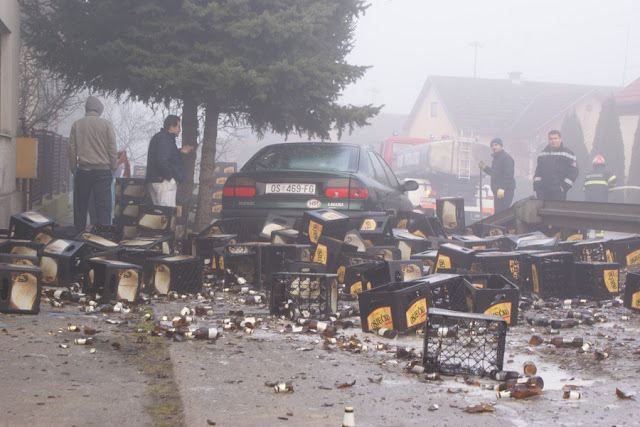 He died the next morning.